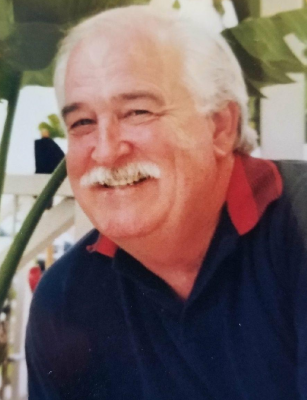 John Vanderwater Whiting (Jack), 82, of Fern Park, died Wednesday, October 11, 2017, at home with his wife and children. Born Dec. 7, 1934 in Queens, New York, he came to St. Pete, FL at age 11. After graduating high school, he joined the Navy and served aboard the USS Renville during the Korean War. He attended St. Pete Jr. College and then UF, graduating in 1961 with a degree in Electrical Engineering. He went to work as a Power Sales Rep for Florida Power and a few years later was hired by a two-way radio manufacturing firm, Repco, Inc. At Repco, Jack moved rapidly from sales rep to President/CEO. Under his direction, the company became one of Orlando's largest exporters, second only to Motorola in that industry. In 1973 Jack designed and received a patent for a transmitter/receptor device that Repco would eventually market. He served as a director for the Southern Industrial Relations Conference and was touted as a "Central Florida Key Executive" by the Orlando Sentinel. In 1984, he took a sabbatical from his business career to participate in a mission trip to "Red" China at a time when religious proselytizing was a dangerous act. Upon his return, he founded his own computer consulting firm before returning to a sales career with Regal Marine Boats, from which he retired in 2002. For the next ten years, Jack and his wife Bobbie were a "semi-retired" sales team and traveled the country in a motor coach for theft company, Happy Feet. Together, they made deep and lasting friendships with people across the U.S.
Jack was a Christian who shared his faith with many. He loved children and empathized with those less fortunate than him. He and his family sponsored Vietnamese refugees after the fall of Saigon and helped other local families do so as well. He often hosted foreign exchange students as well as many children and adults in need of a support system or a fresh start. Many still think of him as a father figure, a mentor and a counselor in times of need. Campaign Chairman of the United Way, Director of Rotary Club, Jaycee, J.A. advisor, youth group sponsor, Kairos Prison Ministry volunteer, elder and Servant Board member for Orlando Community Church were just some of the leadership roles he held in the Central Florida community. Jack was known for his compassion, his sense of humor, and his love of music and the arts. He had a voracious appetite for literature, history, and theology and always enjoyed a stimulating debate, even attending Stetson law school in the mid-sixties. He is survived by Bobbie, his beloved wife of 28 years, his brothers Ben and William, his children Melanie Vandegrift, Eric Whiting, Jacqui Myers (Mitch) and Tiffany Liff (Steve) as well as 10 grandchildren and many relatives. Jack Whiting was a husband, father, grandfather, brother, uncle, role model, patriarch and friend. He will be deeply missed by all whose lives he touched.